Insurance is important for almost every business, but the sheer number of insurance types available—and the costs associated with them—can be intimidating, especially for new entrepreneurs. All types of insurance are meant to mitigate risks associated with your business, protecting it from legal action and, in some cases, physically destructive events. Accordingly, the best way to choose and modify your insurance policies is to acquire a better understanding of the specific risks your business faces. 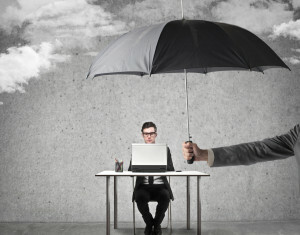 So how can you evaluate your business’s risks? Consider your organizational structure. Depending on your organizational structure, you and your company may face different types of risks. For example, LLCs and corporations tend to be considered stand-alone entities, while partnerships and sole proprietorships might make you, as an individual, liable for certain types of damage. Talk to insurance agents. Take the time to talk to different business insurance agents about the unique risks your business faces. They might be extra motivated to sell you on insurance, regardless of how much you need it, but they’ll help you analyze risks you may not have otherwise known you had. Talk to multiple agents to get the clearest picture on your overall risk. Talk to lawyers. You may also want to talk to your lawyer about what types of liability insurance your business needs. They have far more experience with real cases than you do, and may be able to make better recommendations than an insurance agent. Look at case studies. Take a look at businesses similar to yours, both in the present and in the past. What types of insurance have they carried? When have those insurance policies come in handy? Talking to other business owners is a good step to take, but make sure your sample size is big enough to draw a solid conclusion. Consider your scale. You might be fine without insurance now, but what happens when you scale your business to the next level? In general, it’s best to choose insurance policies that have the power to grow with your business. Consider your risk tolerance. Sometimes, your insurance decision will come down to a matter of personal perspective. How much risk are you willing to take?